We work with a large array of clients from big to small, completing many different types of projects. Below are some of the companies we've helped over the years. MacBracey Corporation has completed several modernization projects for the authority. We have replaced over 200 kitchens and over 300 doors for the Benwood-McMechen HA. We have also built a new maintenance facility for them and are an active bidder on all of their project. MacBracey has completed 3 ground up commercial buildings for Buffalo Land Company. Two of these new facilities utilized MacBracey Corporations pre-engineered metal building packages and one was a 2 story 5,000 sq.ft. office addition. The office addition was conventional framing with a facade of stove veneer and architectural panels. 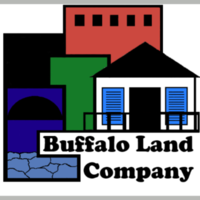 We work with Buffalo Land Company every year and look forward to that next project! MacBracey recently completed an office renovation for the newly acquired Coen Energy. We completely renovated some office areas providing a new layout and a fresh look. We enjoyed the project and know that there will be more to come! MacBracey added an addition to Donley Brick Company in 2005. The project was a design/build project where we worked with ownership to develop the perfect design to help the company grow. Since then we have done several smaller projects with them and have purchased a lot of their great masonry products. 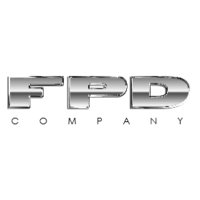 MacBracey Corporation began a relationship with The FPD Company in 2016. Our relationship has growns drastically since then. We began our relationship with FPD by renovating 2 conference rooms, from there we replaced 15 hollow metal shop doors and frames, and more recently we completed a 20,000 sq.ft.- 5 building expansion project. They are the kind of client a company dreams of and we look forward to continuing to grow our relationship. MacBracey has completed renovation projects ranging from single unit flooring replacement to entire building wing renovations. We have enjoyed over a decade of business with the Housing Authority and look forward to bidding all of their future projects. 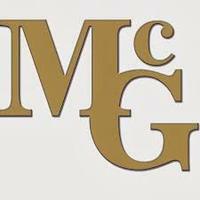 McGuffey and MacBracey Corporation have always had a connection. Our first project we completed large scale facility renovations to Joe Walker Elementary School and our last project we were the General Contractor for the 2016 Tech Education Wing Renovation Project. We have completed several projects in between and we will continue to look to grow our relationship with McGuffey School District. MacBracey completed the 2nd floor office renovation for Nine Energy in 2015 as well as constructing an explosive containment area. The containment project features 2' thick concrete retaining wall block installed in an extremely specific arrangement, we also had to fence the area in with 8' tall chain link with razor wire. Nine Energy is a great client and they continue to grow in the regions Gas and Energy Industry. MacBracey was awarded 2 projects for the PAGC in 2018 and we hope to continue the trend in future years. 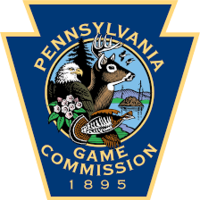 One building was a headquartes building in the McConnell's Mill area of PA and the second was a "Crew" building in Claysville, PA. As the PAGC continues to modernize and build new facilities we look to be the contractor to make it happen. MacBracey Corporation has completed dozens of projects for the WCHA over the past 18 years. The RACW often distributes local LSA monies throughout the community. We have been fortunate to successfully complete several community projects, a few being Senior Center renovations, Park renovations, Township Bldg. Additions, California Street Light Replacement, and even installing an elevator in Charleroi's historical Borough Building. We have also been awarded contracts to participate in the Highland Ridge Redevelopment development where we have built homes. We enjoy their great staff and look forward to the opportunity of working together again in the near future. 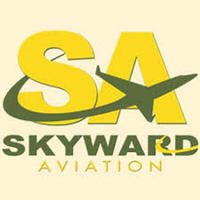 MacBracey completed a 80' x 80' airplane hangar for Skyward Aviation in 2016. The project had many challenges but owner/contractor worked together to make the project a success. Since than we have completed several small repair projects and provide timely and accurate budget pricing for future expansion projects. We look forward to building more top of the line hangars in the future. 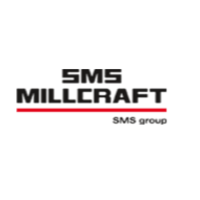 SMS-Millcraft called us in 2018 with a flooding problem. We came to meet them and quickly developed a plan, executed a contract, and quickly completed the office repairs completed so they could get up and running. Since then we have provided budget pricing for future projects and hope to be of service on all construction projects they face in the future. 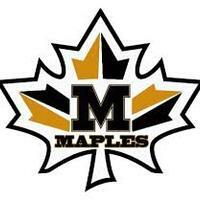 MacBracey completed a project for Mapletown Junior/Senior Highschool in 2017. The project involved a small addition to the school that involved a 4 story elevator shaft and a 3rd floor vestibule. MacBracey was the General Contractor for the project, we coordinated all trades and delivered the project to the owner ahead of schedule. We will continue to look for opportunities to work with Southeastern Green School District in the future! MacBracey began working with Stelkast Inc. in 2015. We have completed several minor interior renovations that have involved rearranging partitions to accommodate new floor plans as well as renovations to the waiting room and several common areas. They are a great client! MacBracey Corporation has completed dozens of projects for the county. In 2016 we built a new masonry workshop building in the county parking garage and in 2018, in an effort to streamline the construction process we placed a bid and were awarded a "Time and Material" contract to complete small projects for the county. 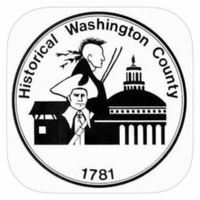 We look forward to helping the County for years to come. MacBracey completed a $1,000,000 interior renovation project to multiple areas of the townships municipal building in 2016. The renovation had a lot of surprises but the staff worked with us and in the end the project was a great success. We continue to work with them on small renovation projects and replaced a water destroyed walk bridge in the summer of 2018. We have created a bond with the township and look forward to future projects. 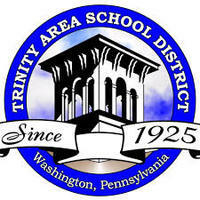 We have been working with Trinity High School since 2006 when we were awarded our first renovation contract with the district. Since then we have done several larger renovation projects as well as some emergency repairs. They have a wonderful staff and we are always excited to get to work with them! MacBracey has been involved with Washington and Jefferson from the beginning. 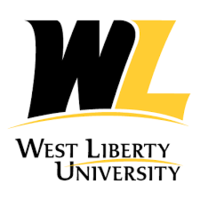 We have a fairly constant relationship with W&J College and their great staff. We have completed many modernization projects including new bathrooms in dorms, new kitchens in dorms, office renovations, entire building renovations, and miscellaneous exterior site work. We value them as a customer and and a great member of the community. We look forward to continued growth of our relationship in the future! MacBracey Corporation has completed dozens of projects for the WCHA over the past 18 years. We have modernized buildings, completed various sitework modifications, installed new roofs, installed new kitchens, completed entire building renovations, large door replacement projects, and even installed playgrounds on various sites. They are a great client and we look forward to working with them in the future. MacBracey has completed several renovation projects for the college as well as a larger renovation to the Dental Hygiene Department. We still have contacts with the school and have provided budget pricing and consulting on a few future projects. As the school continues to grow we look forward to helping them any way we can.